Hip-hip-hooray for Jennifer and George! 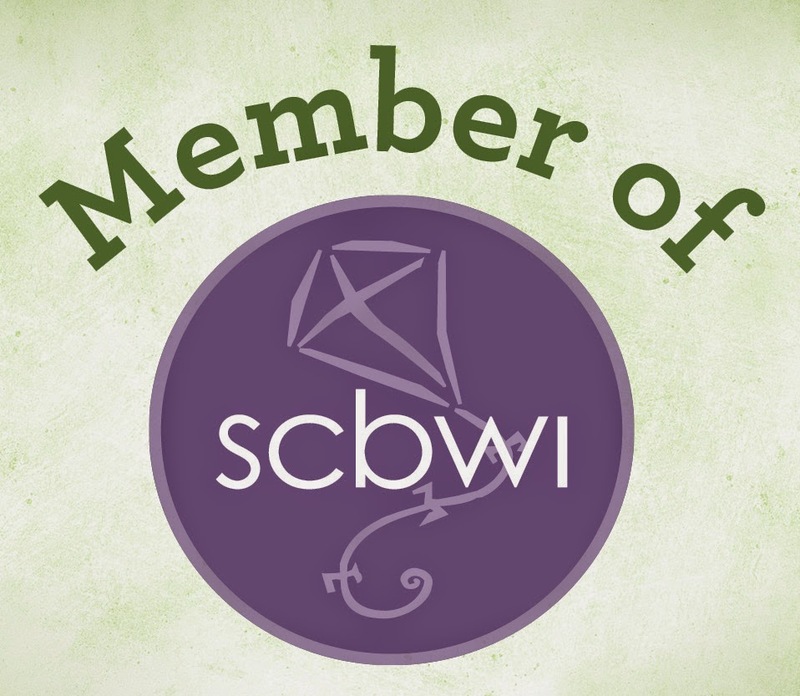 Bloggy friends, please help me congratulate two dear friends on their latest picture books! CONGRATULATIONS, JENNIFER K. MANN AND GEORGE SHANNON! WOO-HOO! Uber-fun bookseller Victoria Irwin of Eagle Harbor Book Company helped me model their new and completely adorable books on Saturday. Jennifer's book, I WILL NEVER GET A STAR ON MRS. BENSON'S BLACKBOARD, came out June 9. Isn't the cover fabulous? 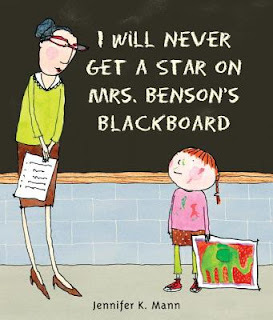 In a world--in this case, Mrs. Benson's elementary school classroom--where the neatniks and rule-followers get stars by their names on the blackboard, what's an inveterate doodler and daydreamer like Rose to do? Fortunately, Mrs. Benson isn't as autocratic and uncompromising as she seems: she gives Rose a much-needed pass on desk inspection day ("Close call, huh, Rosey? I'll look at yours tomorrow"), and sees star-worthy creativity in an enormous thank-you card that Rose makes for a visiting painter ("Rose, you are a true artist, just like Mr. Sullivan"). Mann, in her second book as both author and illustrator, works with assurance as she puts her jittery ink line and layered washes of color to work in the service of both emotional vulnerability and schoolroom slapstick without missing a beat. On the heels of her similarly sensitive treatment of an outsider making it work in Two Speckled Eggs, Mann is well on her way to becoming a champion portrayer of those who color outside the lines or march to a different drum. Ages 5-8. ONE FAMILY, written by George and illustrated by Blanca Gomez, came out May 26. ONE FAMILY also has a gorgeous cover. Shannon's text is delivered in spare, rhythmic, lilting verse that begins with one and counts up to 10 as it presents different groupings of things and people in individual families, always emphasizing the unitary nature of each combination. "One is six. One line of laundry. One butterfly's legs. One family." Gomez's richly colored pictures clarify and expand on all that the text lists: For "six," a picture showing six members of a multigenerational family of color includes a line of laundry with six items hanging from it outside of their windows, as well as the painting of a six-legged butterfly that a child in the family is creating. 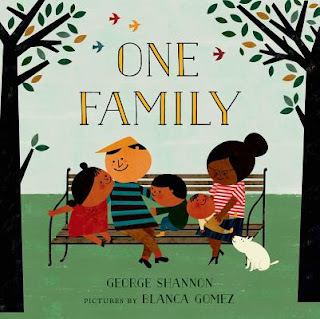 While text never directs the art to depict diverse individuals and family constellations, Gomez does just this in her illustrations. Interracial families are included, as are depictions of men with their arms around each other, and a Sikh man wearing a turban. This inclusive spirit supports the text's culminating assertion that "One is one and everyone. One earth. One world. One family." Both books are beautifully written and illustrated, both are getting excellent reviews, and I bought both as gifts for little cousins (sh-hh--that last part's a secret). Now it's your turn! Do you want to give a shout-out for any picture books that you've seen recently? Do tell!